Banking on our vast experience in this domain, we are engaged in trading a broad ambit of High Speed Steel Scrap. Since we have entered in this industry, we are highly occupied in bringing forward optimum quality Alloy Steel Scraps. We provide these scraps at very feasible rates within promised time frame. Our clients can avail from us Alloy Steel Scraps that are free from any sort of impurities. Being one of the renowned firms in the industry, we are decidedly involved in providing a high-quality array of High Speed Steel Scrap. 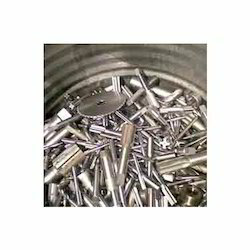 We are leading suppliers of quality grade hss scrap in india. With our in house testing facilities we are able to supply our customers with the best quality scrap one can get with guranteed yeilds. We buy and sell hss scrap. 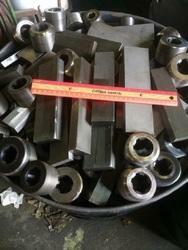 Quantity is not a issue.We offer high quality high speed steel scrap (HSS Scrap). HSS Scrap for M2, M35, M42, T1 and T42 is available with us. Scrap Our foray into the cutting tool industry has been through Scrap. We are leading suppliers of quality grade hss scrap in india. With our in house testing facilities we are able to supply our customers with the best quality scrap one can get with guranteed yeilds. We buy and sell hss scrap. Quantity is not a issue. From 1kg to 100mt we are interested.